Intro by Eb: Guest post by my hubby Philip Looney, who is an ACE Fitness Personal Trainer and fitness blogger at PhilipLooneyFit.com. In this guest post, he shares 5 popular business books that every entrepreneur should read. This post contains affiliate links and I will be compensated if you make a purchase after clicking on my links. Having a summer reading list shouldn’t just be for the kids. If you’re an entrepreneur, you should especially buy out time for reading, because it gives you knowledge and insight that can help you grow your business. Bill Gates, Warren Buffet, Oprah Winfrey, Mark Zuckerburg, and hundreds of other successful business leaders devote dedicated time, usually one hour or more, to reading each day. I’m sure you’re thinking, “that sounds great, but I’m already super busy! Where will I find the time?? ?” Stop and reflect on when you have a few down moments, and ask yourself what you end up doing. Is it surfing social media on your phone? Could that time be better spent reading a book? I’ve made it a habit to carry a book with me wherever I go. The time you find yourself waiting in line, waiting in the dentists office, etc. you have something to read. Block out time on your calendar to step away and read. You’ll find you come back refreshed from the reading break, and maybe even with an immediate insight that you can apply to a project. Go to bed earlier and wind down with a few minutes of reading. This means maybe one less episode of your latest binge-show, but so what. 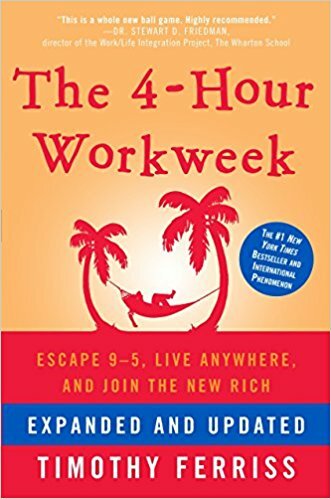 The 4 Hour Work Week by Timothy Ferriss – While the promise in the title seems to be about working less, this book is really about time management. Specifically, the tips and tools in this book will help you make the best use of your time and learn how to avoid things that swallow up your precious time. This book out of all the others has had the greatest impact on improving my professional life. 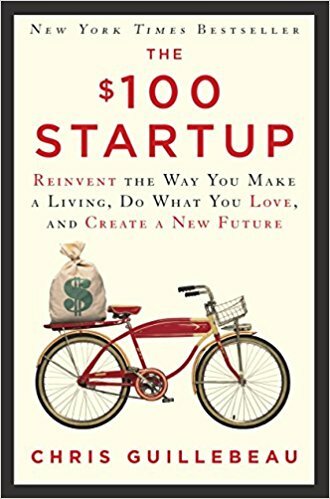 The $100 Start Up by Chris Guillebeau – This book is one of the best I’ve read that simply explains product management concepts like value, pricing, and identifying your market. It has dozens of simple, actionable worksheets that you can use to define and document your business practices. It also contains dozens of case studies of successful small businesses that you’ll find inspirational. 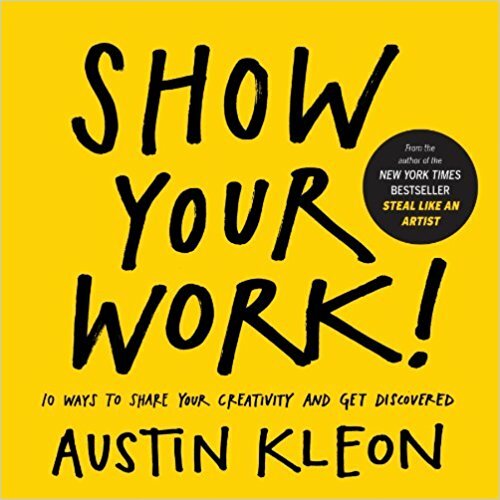 Show Your Work by Austin Kleon – This is the best book on social media that I’ve ever read, and it’s not even really about social media. It’s a reminder of the need to share with people something that is useful, interesting, or entertaining so that you don’t just get “followers” but actual people that are interested in you and your business. 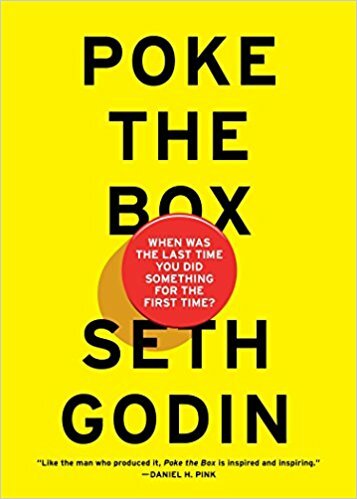 Poke the Box by Seth Godin – This short manifesto on doing work could be summed up in three words – Do, Start, Ship. It’s an inspirational reminder that all the planning in the world won’t make your business successful if you don’t actually produce something and share it with people. 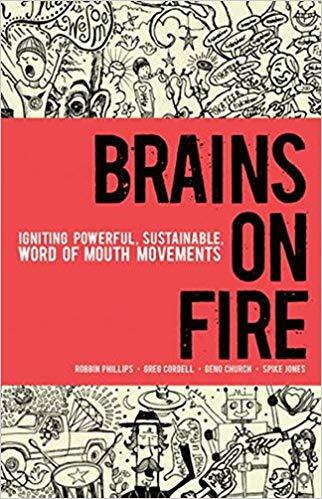 Brains on Fire by Robbin Phillips, Greg Cordell, Geno Church, and Spike Jones – This changed book changed the way I viewed marketing, focusing less on military terms like “campaign” and “tactics”, and instead taught me how to think about really talking to people and seeing what they want. Worth the read just for the story of how this agency helped Fiskars scissors double their profits through growing an online community. So which book would you read? Do you have a personal favorite that you would like to share, please let us know about it below. If you have found that this list helpful, please share it with your friends who are looking to start or grow their business.